Without access to the right talent, a business' performance and success is compromised. The problem is that companies today are faced with rapidly evolving technologies and processes that are causing an ever-changing demand in the type of skills needed. On top of the already present skills gap many organizations are experiencing, there is also the challenge of retaining top performers. With a stronger economy, people today aren't as worried about job security as they once were and are more likely to leave an organization they're unhappy with rather than stay out of fear of unemployment. The Internet of Things has made it easier to find and conduct work from anywhere, contributing to the rise in temporary, freelance and contract workers. Additionally, the millennial generation, which now represents the largest demographic of the workforce in America, is causing a number of shifts in the job market and contributing to how companies must approach retention strategies. For example, research conducted by Gallup found that 21 percent of employees belonging to Generation Y changed jobs within the last year alone, at least three times more than workers from other age groups. Furthermore, 60 percent of millennials agreed that they would consider other opportunities outside their current roles. Obviously, corporate and HR leaders are dealing with a workforce that is slightly flightier than it was years ago. 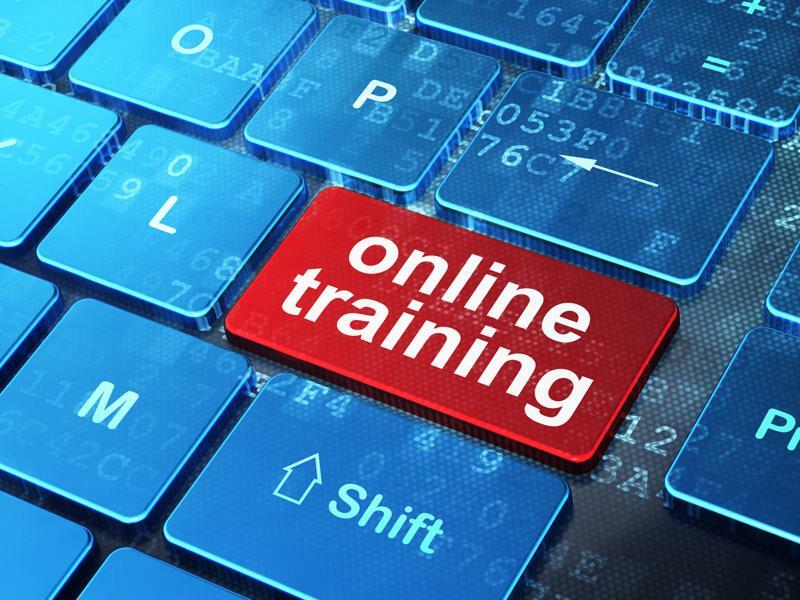 eLearning can help improve job satisfaction and employee performance. Instead of spending a significant amount of time and resources on replacing workers by onboarding additional staff members every time a different need emerges, companies can leverage a faster, more efficient and cost-effective solution: a Learning Management System. There are many reasons why organizations should be incorporating eLearning technologies and strategies to improve the workplace. Development and training programs can improve job satisfaction and, therefore, retention rates, especially with Generation Y. According to the Gallup study, when considering new job opportunities, millennials consider having the option to learn and grow more important than working at a place that is considered fun and creative. "The value of a LMS stays with a company, even if some of its employees do not." One of the biggest benefits of using an LMS is that it stays with the company, even if the people using the program do not. When employees leave a company, they take with them the experience, insight and skills they both brought and acquired on the job. And while businesses can certainly hire replacements, it isn't possible to find a person who comes bearing the knowledge and know-how that is specific to the organization, such as its culture, processes, clients, etc. Plus, recruitment can be costly - and finding and hiring someone does not immediately guarantee that they are going to stay with the company for a long time. However, when a company creates a customized LMS, the digital assets belong to the company and can be reused and recycled again and again while also being tailored to the specific functions and needs of both the organization and its workers. Another reason why businesses should consider a personalized LMS is that, by training existing staff with eLearning tools and technology, the company is investing in people who have already built a strong relationship and repertoire within the organization and have demonstrated commitment. Prioritizing the development, advancement and growth of their workers allows business leaders to increase the likelihood that their staff will feel valued and appreciated and, therefore, less likely to leave. A third advantage offered by LMS for improving retention rates and bridging a workforce skills gap is its flexibility and convenience. Using a platform that is built on HTML5 guarantees that the digital content is easy to update and highly scalable, meaning it can be customized to seamlessly translate across all channels, devices and platforms. This is increasingly important as more employees are using mobile devices to conduct various work tasks and functions. As the workforce becomes more mobile, more organizations are going to need to incorporate mLearning tools and technologies into their training and development programs, and having a personalized, highly innovative LMS makes this easy. No two businesses are exactly the same, so the LMS they use shouldn't be either. Creating a customized platform that meets the specific needs of an organization's workers will increase participation and ultimately improve their performance. It is imperative, however, that the appropriate eLearning features and functionalities are used that are most effective for the particular environment. Companies should consider, for example, what learning styles their workers have and what type of digital simulations, such as gamification, quizzes or videos, would be most interesting and engaging to them. "The success of eLearning hinges on knowing which features and functionalities to invest in." Knowing what features and tools to invest in is an important part of creating a LMS. Research conducted by Brandon Hall Group revealed that some of the most important functionalities of learning technology vary based on whether it is a formal, information or experiential environment. For example, while the most important capabilities to have in a formal setting include eLearning course management, analytics and assessments, it is more valuable to have a platform that allows collaboration, discussion and media sharing, as well as a mobile app. In an effort to bridge a skills gap and limit employee turnover, it is highly recommended that companies partner with a third-party vendor that specializes in corporate learning strategies and LMS technologies. Join our mailing list to receive the latest news about Aptara solutions and events. Aptara’s digital content, learning and performance, and business support services are in place at market-leading companies worldwide. Our industry specialists design and implement strategies that capitalize on new digital and mobile technologies for information providers in IT, law, healthcare, pharmaceuticals, insurance, financial services, and publishing. Aptara's solutions uncover new revenue streams, improve operations, and realize cost savings enterprise-wide. Founded in 1988, Aptara is headquartered in the United States and has offices on four continents. Our parent company, iEnergizer, is publicly traded in the UK. Copyright ©2018 Aptara Inc. All rights reserved.